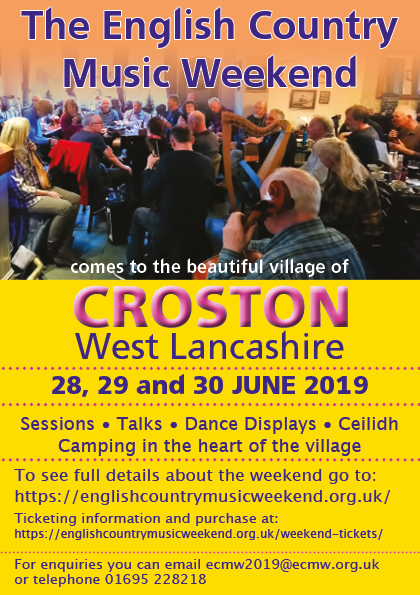 This year – 2019 ECMW will happen in Croston in West Lancashire on the 28,29 and 30th of June. For a larger map click here. 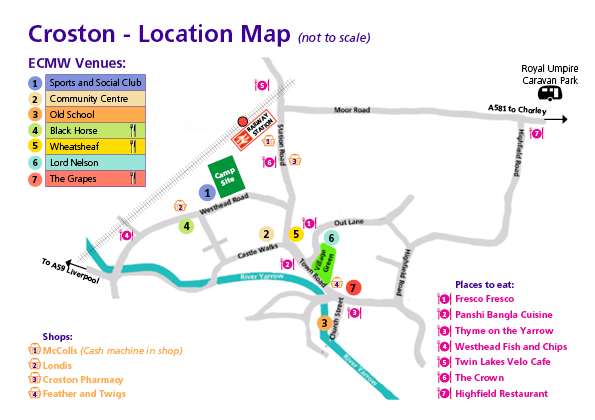 Some details of the programme can be found here. If you have paid for ECMW through the website using PayPal, then they are responsible for securely holding your details. We do not keep any of those details. You can read about their GDPR here: https://www.paypal.com/stories/uk/getting-gdpr-ready/.